A safe, comfortable and well-managed environment provides the backdrop to a high performing care home. Panasonic’s specialised care home solutions give you the ideal support in ensuring your residents, your staff and your visitors are always given the reassuring, professional experience they expect of your establishment. How do Panasonic solutions support care homes? How do Panasonic solutions support care homes?. A safe, comfortable and well-managed environment provides the backdrop to a high performing care home. Does it seem like the amount of personal information that you handle, such as application forms, ID cards and medical records, increases daily? Panasonic scanners will quickly turn these documents into data and automatically organise them for you. With more than 30 years’ experience and 15,000 installations, Panasonic has a long track record of delivering successful fire alarm solutions. 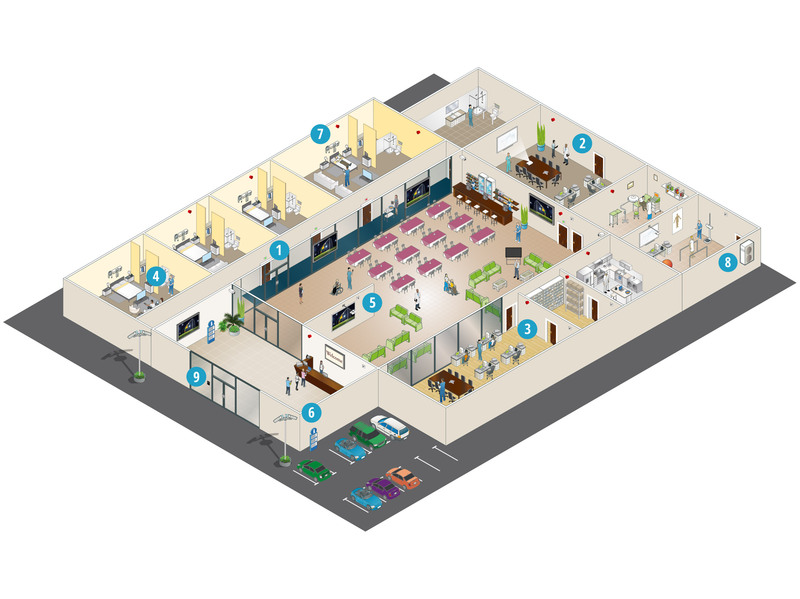 Our systems include server and controller units, smoke and heat detectors, manual call points, short circuit-isolators, sirens and other technology to protect your facilities 24/7. Our Full HD operating room recording systems can be used for the documentation of various medical procedures, as well as distance learning, education and medical training. Rugged Toughbook laptops and mobile clinical assistants (MCAs), and Toughpad tablets, are equipped with all the necessary features to allow doctors, nurses and other healthcare staff to perform a number of tasks – from viewing medical records and X-rays to transcribing prescriptions. Panasonic unified communication solutions come with an exciting array of business intelligent features and applications specifically designed to enhance and simplify communications for your staff and patients alike. Panasonic’s video surveillance imaging technology increases situational awareness of events as they unfold, improves response time during emergencies, and documents evidence.